Orientique is a Hong Kong-based antique and fine art dealer. The company has been in business for more than two decades. The gallery is located in the Mandarin Oriental Hotel, Hong Kong. 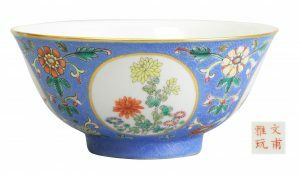 Orientique specialises in fine quality Chinese Imperial ceramics and other important and rare works of Chinese art. Its collection ranges from pottery of the Neolithic, Han and Tang Dynasties, to Ming and Qing Imperial porcelain.